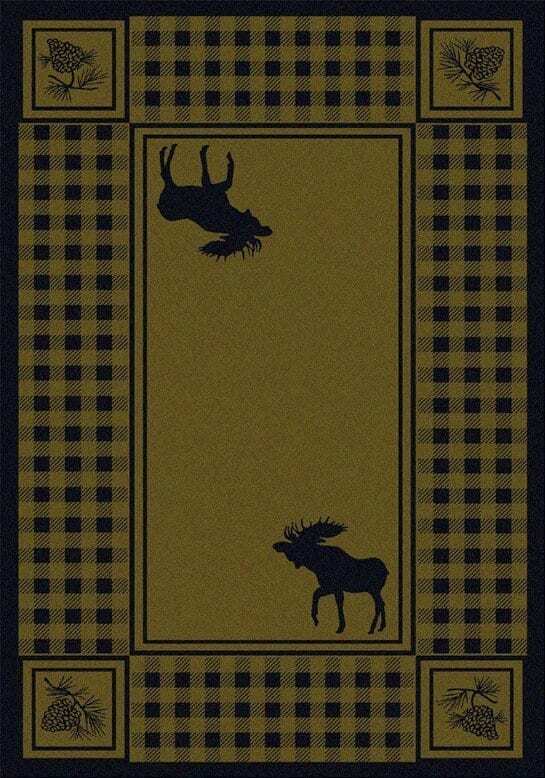 Moose Refuge cabin rug by American Dakota is part of the Cabin collection. 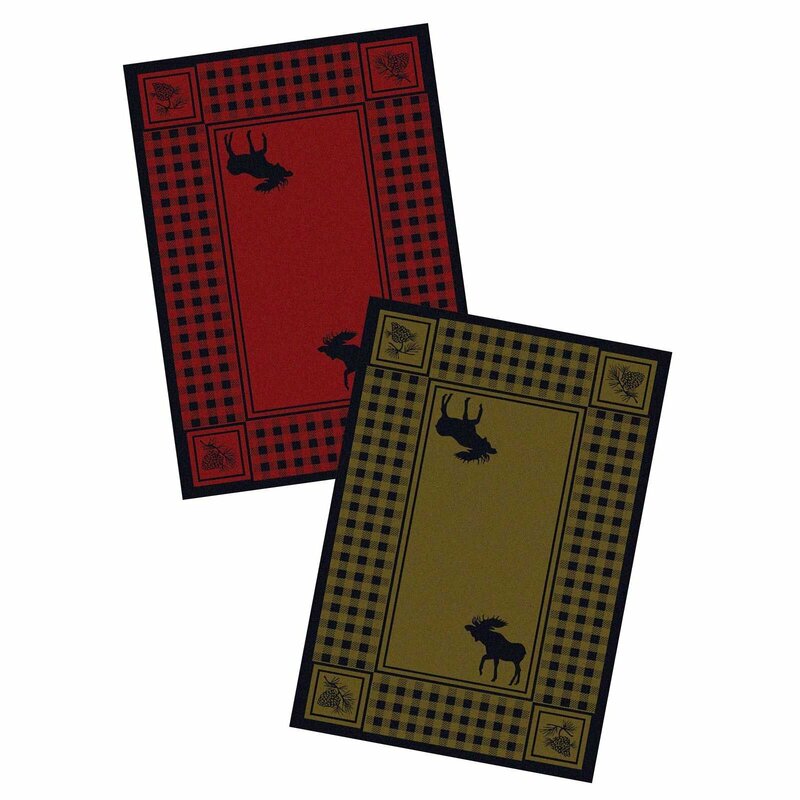 The collection offers a series of rustic print perfect for any log home or hunting lodge. 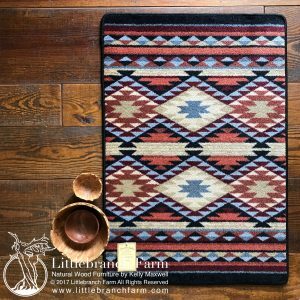 American Dakota has several rug collections that will fit rustic homes. You can see them on this website. 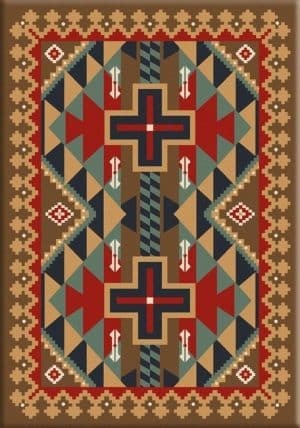 We also offer their line of Southwestern designs. Moose Refuge cabin rug comes in 2 classic colors red or green. 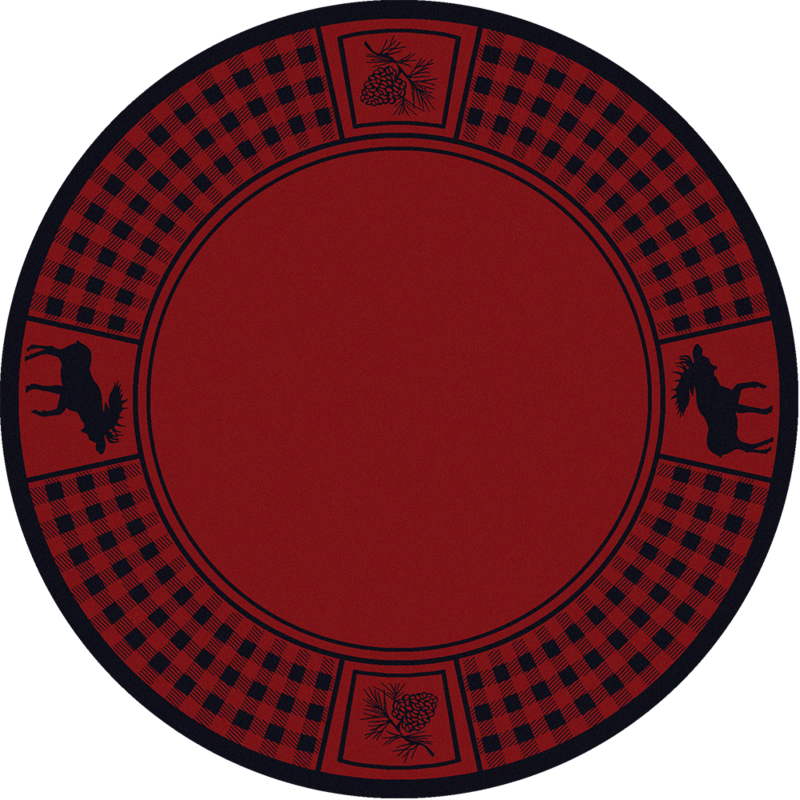 The border of the rug is a cozy plaid with detailed pine cones in the corners. 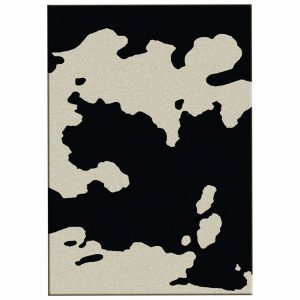 This style of rug looks really nice in the runner size and will help create a welcoming entryway.